Big. Exciting. News: I have been working on my very first online product called “600 WORDS” since last summer and IT’S FINALLY READY! We’re just doing the last tweaks now before the official launch of the French Truly Online School on August 6th 2018 and together we will be able to learn French online! 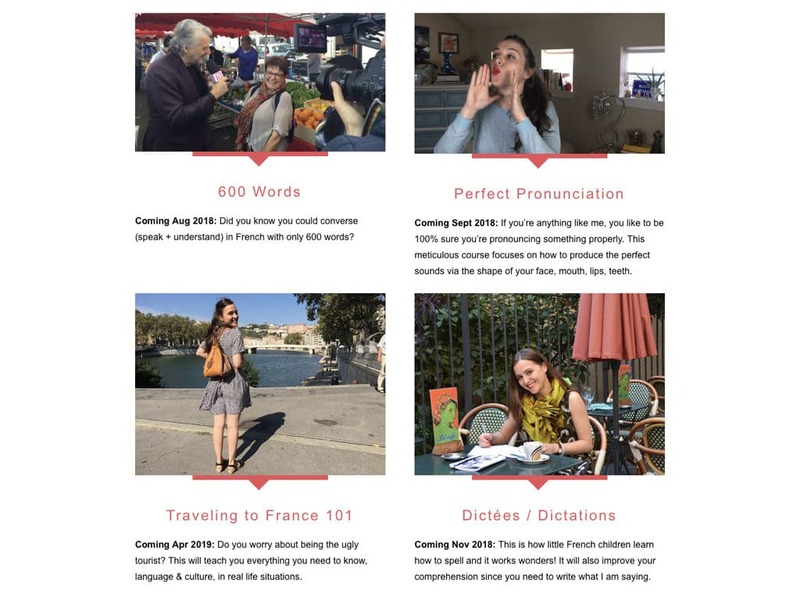 Every course will be packed with video & audio files along with written material, to make it as fun, easy, and user friendly as possible for you to have a great French language learning experience! In the “600 WORDS” course for instance you will find 15 videos (+ 10 bonus ones) to help & accompany you every step of the way through the course + for each word, each sentence, each expression, each conjugated verb, I have created an audio file of my voice, slow and slightly faster speed. 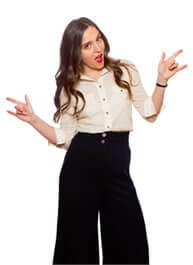 Perfect for you to learn French online with me and at your own pace! I created this course because I love learning languages, yet I’m very busy, and the idea of an enormous time commitment course is overwhelming to me. I don’t have a lot of time so I need something short yet super efficient, that will give me strong foundations for a trip or for a higher level in the future. Together we will learn French online and I’m sure you will appreciate the flexibility and the autonomy that comes with an online French language course that you can turn on and off whenever you want! AND!!! This is just my first online course! I’ve got 3 other ones cooking for you to learn French online! 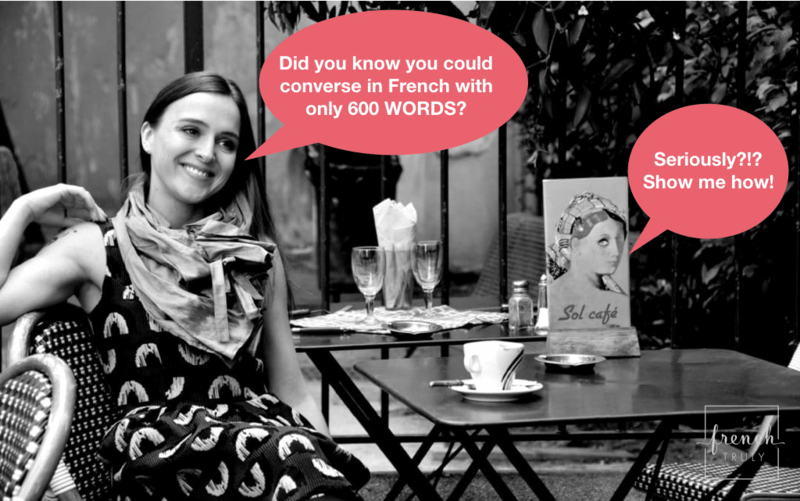 Visit my COURSES page for more info on how to learn French online or just shoot me an email on virginie@frenchtruly.com and together let’s help you become a little bit French! 600 words! Now you’re talking. The buy button to purchase 600 words does not work. It opens a new window that takes you to the same place. That can’t be good! Will the course help me to express myself better? I consider myself to be intermediate in French, but still struggle to finds certain words when speaking to my French teacher online. I really want to take my French to the next level! I would also love to go on one of your French Immersion weeks when my comprehension improves.